Just beyond the GTA, near the white sand shores of Georgian Bay, in Ontario’s four-season playground, the best of your life is about to begin. In Spring of 2018 Collingwood’s only Adult Lifestyle Village will unveil its final phase with The Condos at Balmoral Village – twin midrise condominiums joined by an atrium in the heart of the Village – bringing the ultimate maintenance-free lifestyle to Balmoral Village in Collingwood. If you’re ready to smartsize, this is your release! It’s time to live the life you’ve been planning here in Collingwood, Ontario’s four-season playground. Hike or bike the 35km Georgian Trail out your door, or stroll to downtown excitement, or ski, golf, sail, or walk barefoot in the sand. If you’re ready to smartsize and really enjoy life, this is the release for you. Balmoral Village is an inspired Age In Place community that offers five different living options as well as a Clubhouse, Recreation Centre and Medical/Wellness Centre. Earlier phases of Freehold Townhomes and Bungalow semis sold out within 10 months and will be completed in 2018. 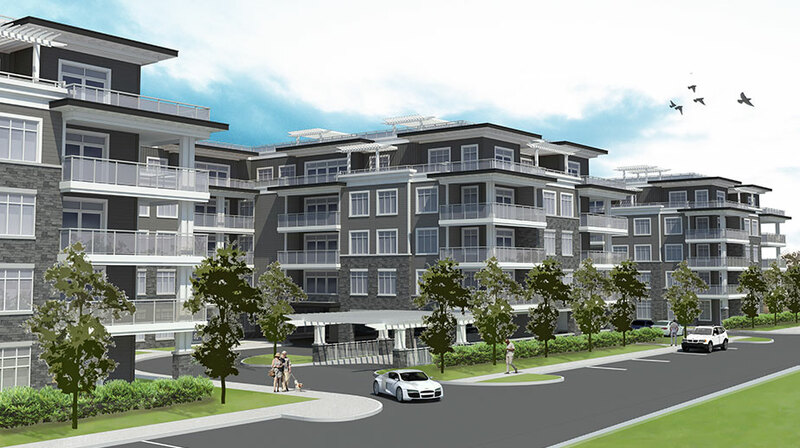 Occupancy is now underway for the seniors Rental apartments, as well as independent and assisted living suites. Balmoral is all about choice, flexibility and community in one of Canada’s most enviable four seasons resort areas. Registrations are open for the North Building. With just 53 suites, demand is incredible; Priced from just $299,000 the average condominium suite at Balmoral is half the price of Toronto condos! Underground Parking. Storage included.